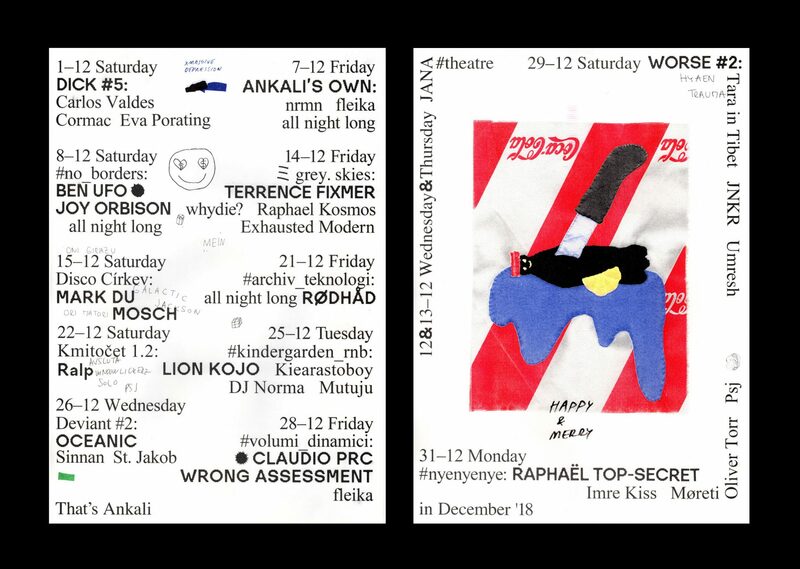 We’re wrapping up the second year with a bang: joining the Parisian obscure record digger Raphäel Top-Secret are our residents Møreti & Psj as well as the Hungarian mainstay Imre Kiss & local head Oliver Torr. Who knows how long this will last, but at the moment Raphäel Top-Secret still is one of the best kept secrets of the French scene. With just a handful releases to his name, his breakthrough achievement was the ‘Deviant Pop From Europe’ he co-curated which was released on Music From Memory. Since then he’s been on a steadily rising path paved witch everything from R&B and Downtempo via Italo to the classic sound of Chicago and beyond. Also on the bill are Imre Kiss and Oliver Torr. Imre is one of our favourite eastern producers and chances are you are already familiar with his selection of wave-based dance trax and pounding EBM. He’ll play together with Oliver Torr, local dj and producer with vast knowledge of music of the past and today. Wrapping up the line up is a pair of our residents. A decade ago Møreti & Psj were both important voices on the scene in Brno and following their move to Prague they became one of the most sought-after (and busiest) selectors. Expect a sonic clash of finest House and contemporary tribalism.